It is interesting to note that most document management systems are designed for the Architectural and Engineering (A&E) world where document management is quite the opposite of most other industries. Whereas typical industry documents are standardized and repeatable, with templates that rarely ever change, those required of the A&E environment are not. Here, every drawing is unique, and workflows require systems specifically designed to meet the needs of the A&E space. Here are some examples of the differences for standard businesses and project-based business. Do You Have More than One Version of the Truth? Employees can spend hours or days updating a drawing. If an obsolete version is used, then that work must be repeated, costing your firm time and money. Also, using the incorrect version of an engineering document can leave your firm vulnerable to increased corporate risk, failed audits, cost overruns that can extend into the millions of dollars, not to mention significant risks to safety, schedules, and reputation. Furthermore, manual methods of version control are difficult and prone to error. In most companies, you can find multiple versions of files, one on the server, on a user’s hard drive, in email, and even a paper copy. Using a document management system creates a central point for document access which ensures users across the organization always can obtain the latest version. Document management systems also store previous versions and maintain the historical metadata for auditing the document history. Are Transmittals Weighing You Down? Gathering files, ensuring the correct version, attaching xrefs, specs, and any other necessary files are all very time consuming and tedious. Because it is a manual process, there is always a high risk for missing information. Once you include creating, sending, and tracking transmittals, this process becomes a very large, time-intensive process. A good A&E document management system provides automatic cover sheet creation and a built-in address book for quickly adding recipients. It also automatically tracks sending, receiving, editing, and routing so you can easily maintain the relationship between the cover sheet and all the files and data you send. Are Your Naming Conventions Working? Many companies try to impose naming standards, but without a way to enforce or automate these standards, all it takes is one person choosing to name a document in a way that makes sense to them, and an important file could be irretrievable. When more than one department or branch is involved, or new businesses are acquired, chaos can ensue! An A&E focused document management system will auto-generate number sequences, include fixed width text place holders for user entered text, predefined data from drop down lists, user entered free texts, and delimiters. In addition, file names would not be the only way to search for files…using metadata either manually tagged to the document or found within it, would be a key part of your file storing and searchability. Where Are Your Critical Communication Documents? Are your firms’ critical communications being housed in email boxes and scattered throughout your organization? What happens when someone is out of the office, or leaves the company? Do you or your staff spend hours trying to locate that critical communication? A document management system allows you to save emails from Outlook to your projects, contacts and organizations, including version controls, with very few steps. It also saves just one copy of an email and eliminates duplicates to reduce storage and communication that must be sorted through and searched. These emails would then be stored centrally and permanently for audit and legal purposes, essentially preventing them from ever being deleted or lost, especially if a team member leaves the practice. Why an A&E Document Management System? If users can bypass procedures to access and change files without proper auditing, you aren’t truly managing your documents. 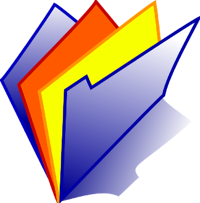 Document management software uses database tables to store both data and files and ensure compliance. Document management systems cut costs. The time needed to locate a document using easy searches and metadata should drop to seconds. No walking, telephoning or emailing is required - just a connected computer. Errors from using incorrect documentation virtually disappear. Only the latest, approved and published versions are used. Time spent manually moving files and attaching to emails is eliminated with file sharing. Instead, documents are displayed to the user as soon as they are found. Audit reports can be automatically generated. Knowledge recorded in markup is stored in the system, visible to all who need to know, and your staff are more productive when they know information is reliable. Calculating the Costs of Disorganized Documentation…Are You Scared to Know the Truth? Do you know how much time your staff spends naming, organizing, and then trying to find documents? Are you, like many, scared to really find out? How much time is spent by users looking for drawings or other documentation? How much time your staff spends helping others find what they need? How much downtime is also a consequence of these delays? How many occasions production has been lost and/or re-working was required due to use of incorrect or outdated documentation? Multiply these hours by burdened rates and estimate the costs of incidents caused by inaccurate data to extrapolate a typical yearly cost. It appears to be very expensive. Without a good document management system in place, these situations put a true financial strain on your firm. Are You Ready for a Document Management System? Using a proper document management system will not only save time, which we know equates to money, but will also prevent the unnecessary headaches of having to constantly forage through numerous files trying to find needed documents. We all know that the A&E industry is a unique and specialized industry which requires organization for project management. It doesn’t need to be so challenging to manage your documents.